When my holiday decor comes down in early January my house feels a little bare. Don’t get me wrong, I love that clean and organized feeling when the tree is packed away and my living room feels so much larger. I need a way to replace all the sparkle and lights of Christmas with something that will brighten my home during what will probably be a cold couple of months. 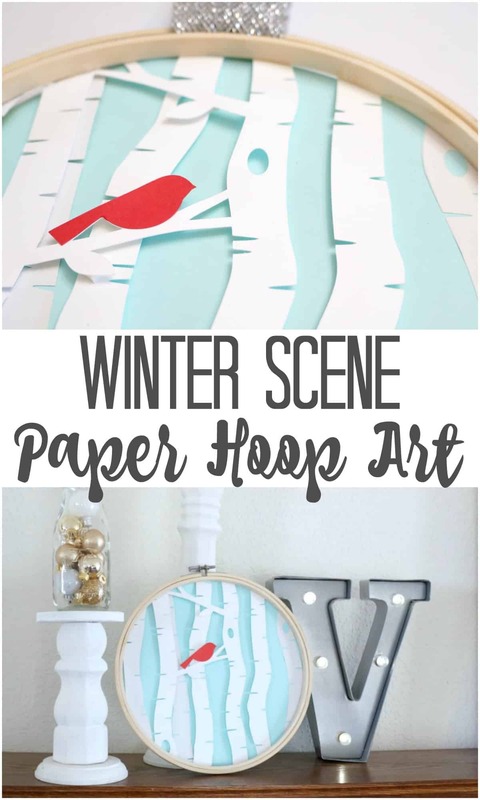 I made this simple winter scene paper hoop art using a card design from the Silhouette store that really caught my eye. 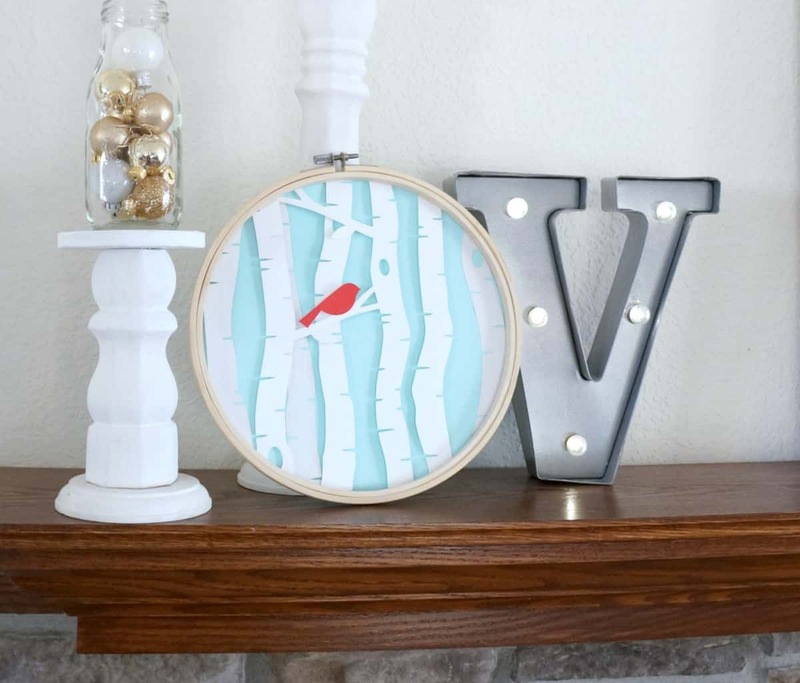 The cool colors are perfect this season and the hoop makes it versatile enough to be a door hanger or a decoration on my mantle. This post contains affiliate links, view my full disclosure policy here. You can check out all of my go to craft products here. 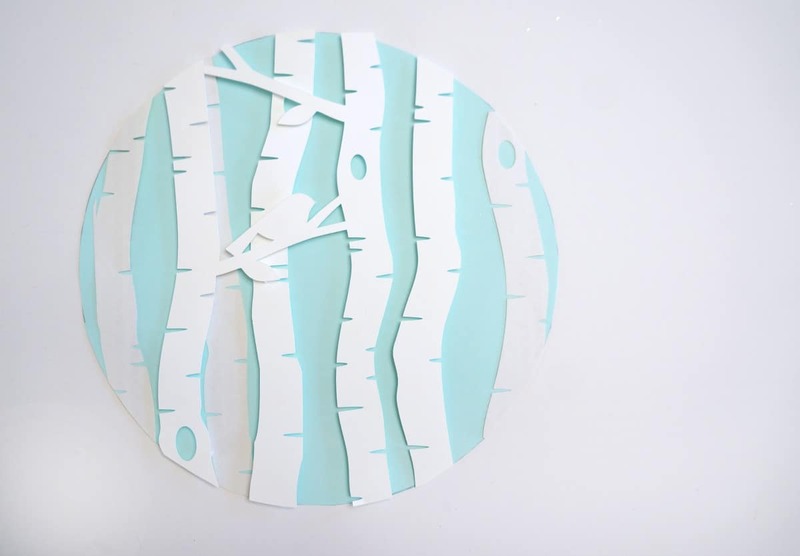 I was inspired to make this by the A2 Aspen Tree Pop Dot card design in the Silhouette store, you can download it and resize it in your Silhouette software to fit your hoop. I have all the instructions below. I started by downloading the card design and resizing it to fit my hoop. I drew a circle the size of my hoop using my design software then sized the graphics accordingly. This card has 3 parts that are layered on top of one another to create a 3D pop effect. Once I had everything laid out on my computer, I cut each layer out of white card stock. 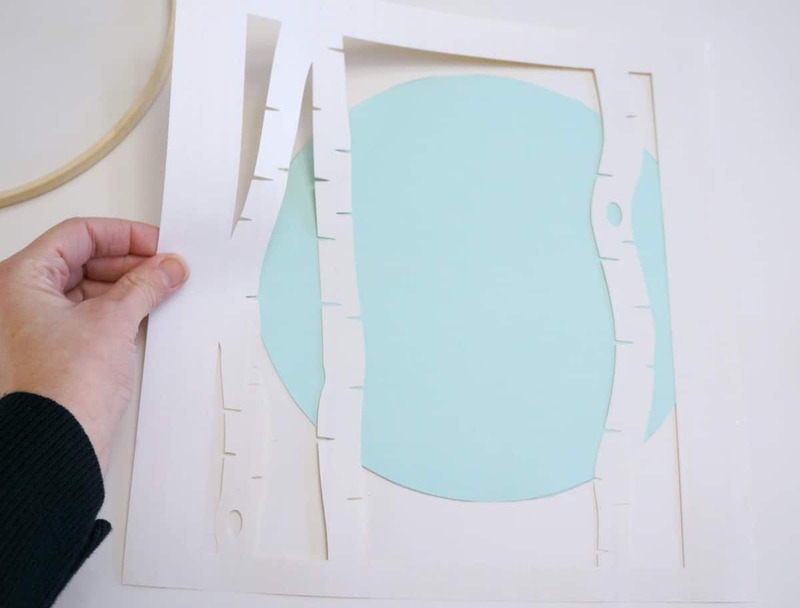 I also cut a circle the size of my hoop out of blue cardstock. 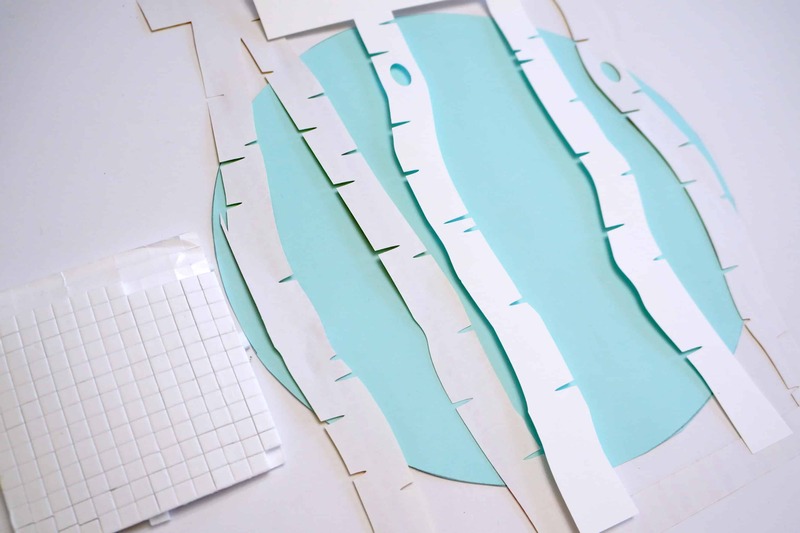 Then I laid the white tree pieces on top and used glue and mounting squares to adhere everything. I let the ends hang over and once everything was glued down I trimmed the excess white paper leaving a perfect 3D design on the blue background. The final touch was a red cardinal among the white trees. Using hot glue I secured the inner hoop to the the edge of the blue circle. There are a few ways this can be displayed. I currently have it on my mantle resting againt a pilar. You can also thread ribbon between the hoops and use this as a door hanger. 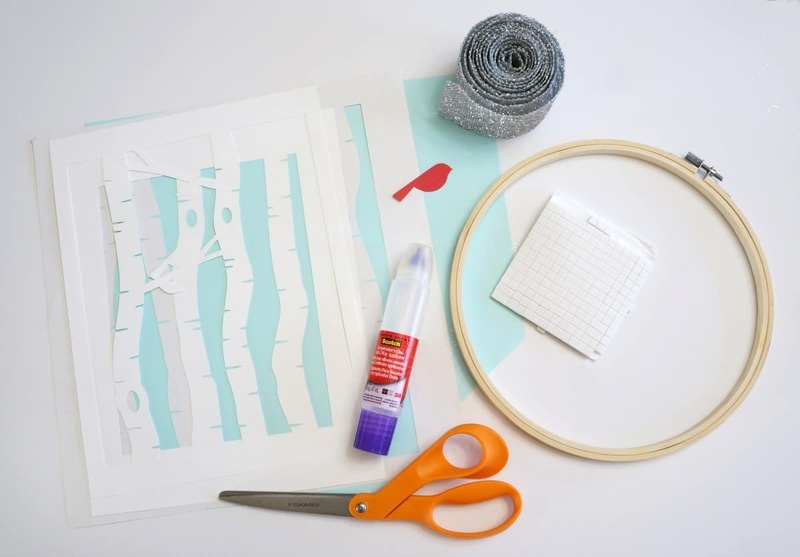 Be sure to pin this project for quick access to the supply list and tutorial. 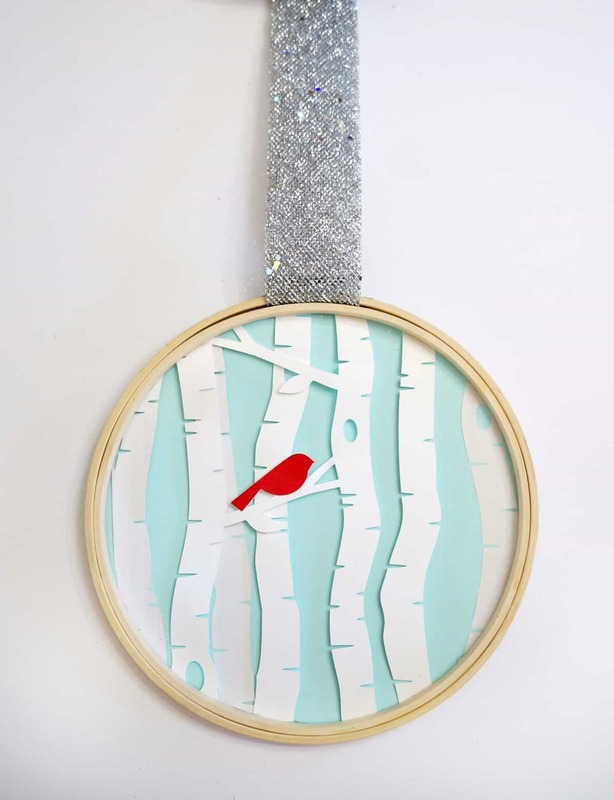 Your house doesn’t have to feel bare after the holidys, this simple winter scene paper hoop art can help refresh your decor for winter. Follow Creative Ramblings on YouTube for more simple inspiring project tutorials.